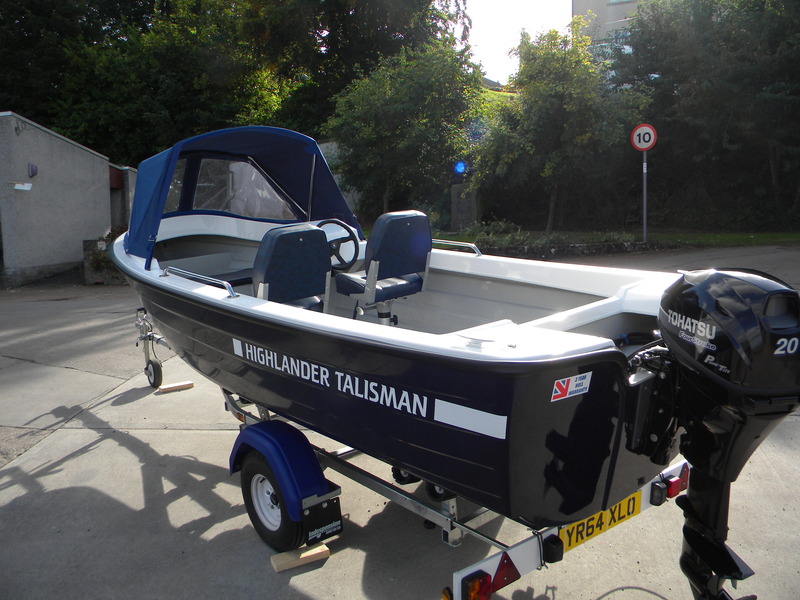 The New Talisman features many of the great features found in the rest of our range and importantly is light enough to be towed behind a family car and easily launched and retrieved. 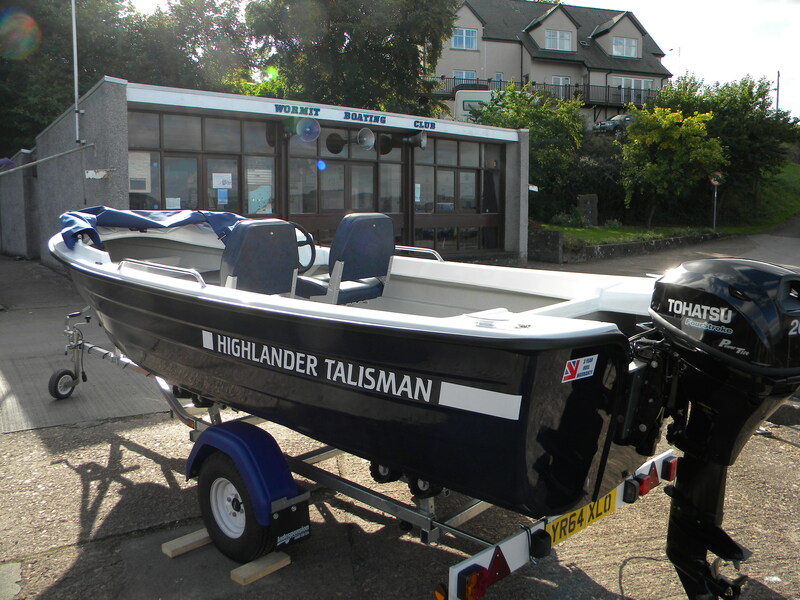 The New Talisman features many of the great features found in the rest of our range and importantly is light enough to be towed behind a family car and easily launched and retrieved. The boat handles well at sea and the hull shape not only offers the user a comfortable ride it performs well with smaller more economic outboards in the 20 – 25hp range or, even smaller still for inshore or, river use. Featuring a quality pull up canopy the boat offers the best of both worlds with protection from the elements instantly available if the need arises. 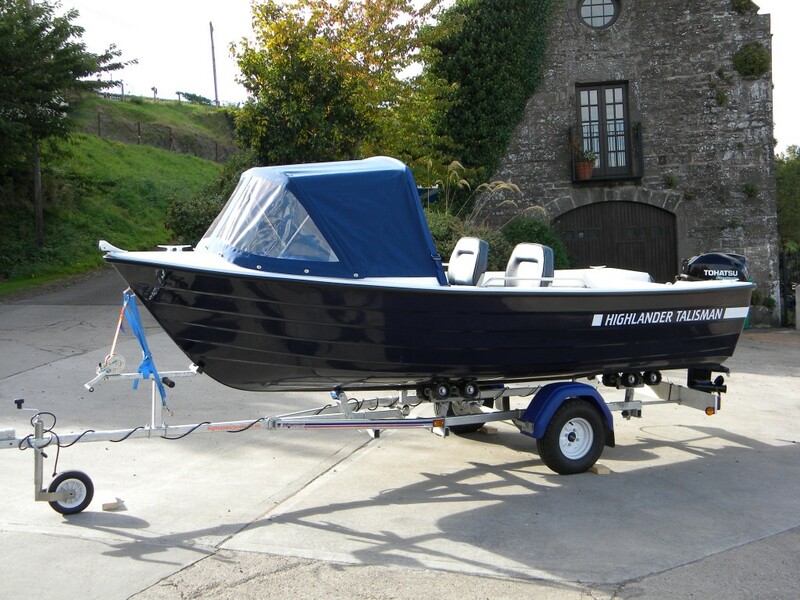 A fixed solid cuddy is available as an option along with other items which can be added to further personalise the boat to fit the customer’s requirements. Heavy duty moulded hull and deck with built in buoyancy, non slip deck, heavy duty PVC fendering, stainless steel keel band, deck fittings, bow locker, anchor locker, separate battery compartment, bilge pump sump, stainless steel hand rails. For open water use, 20-25hp is ideal and is economical enough run. 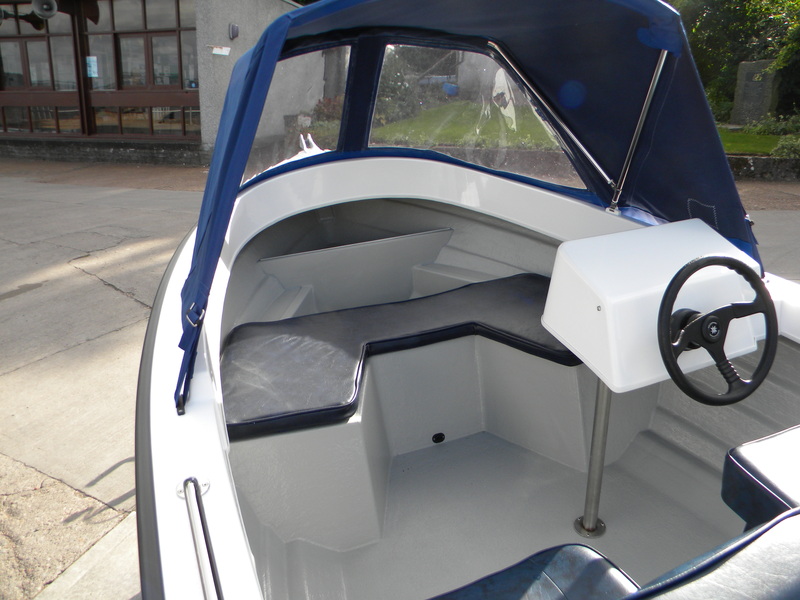 For customers with Mobility or special requirements we are able to customise this boat to improve access, seating and controls. Upgraded seating, optional rear bench seat. 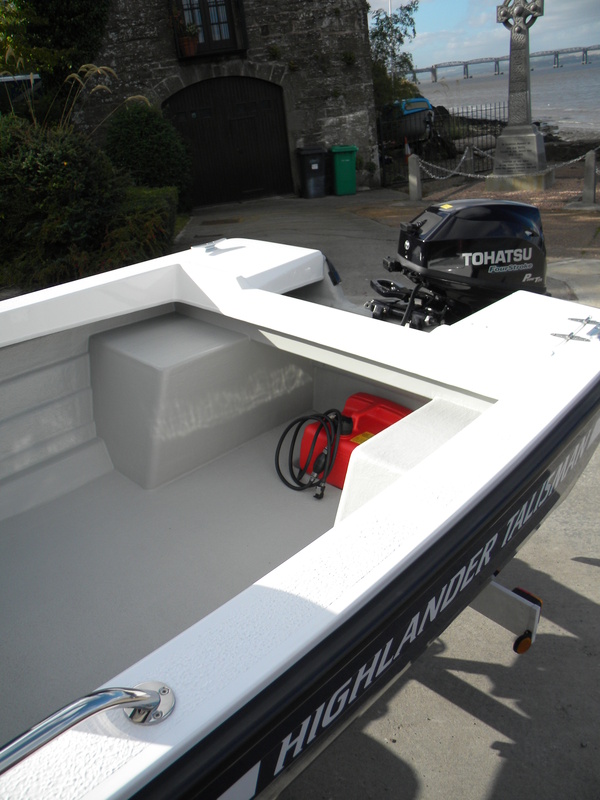 We can package up this boat with a wide range of outboards, covers and seating options.